How do Douro River cruise prices compare? You are here: Home / All Inclusive River Cruises / Airport Transfer Fees / How Do Douro River Cruise Prices Compare? The Douro River is the only river in Portugal that offers overnight river cruises. Itineraries are usually round trip from Porto, Portugal and visit Salamanca, Spain. You’ll find that most river cruise companies now offer at least one package on the Douro River. Some itineraries begin in Porto and others begin in Lisbon. The river cruise portion departs from Porto, which is about 194 miles north of Lisbon. Itineraries that include Lisbon are usually 10-11 days long. There are also itineraries that include travel to Madrid, Spain. For the purpose of this article, we’ll look at travel that begins in Lisbon or Porto. Prices vary among river cruise companies that offer Douro River cruises. The data in the table below shows the lowest starting prices for cruises on the Douro River for 2016. Figures are based on information that was gathered in September 2015, and cruise fares are rounded to the nearest whole dollar. A-ROSA No itineraries on the Douro River. Avalon Waterways No itineraries for the Douro River. Emerald Waterways No itineraries for the Seine River. Grand Circle No itineraries on the Douro River. You’ll notice that a few companies still do not operate on the Douro River – Avalon Waterways, Emerald Waterways, Grand Circle and Tauck. Both Scenic and Viking are introducing new ships on the Douro in 2016. It’s important to note that prices are subject to change; and depending on the stateroom category you choose, your rates could be higher than what is listed in the table. Although, Viking River Cruises is not an all-inclusive company, they do include port charges in the fare. With most other companies that are not all-inclusive, you can expect to pay an additional fee for port charges. And if you travel with CroisiEurope, you won’t have to worry about paying gratuities. They’re not recommended by the company, nor are they expected by the crew members. There are often several other added features with an all-inclusive river cruise that can save you money in the long run if they’re services you would purchase. For instance, beverage policies usually include premium beverages and staterooms may feature well-stocked mini-bar. Those are expenses that can definitely add up if you’re paying for them. Some all-inclusive river cruises also offer private butler service, laundry service and room service; however, the level of these services may also depend on stateroom category. In other words, even though a cruise line may be all-inclusive, some of these services may only be available to guests in higher stateroom categories. 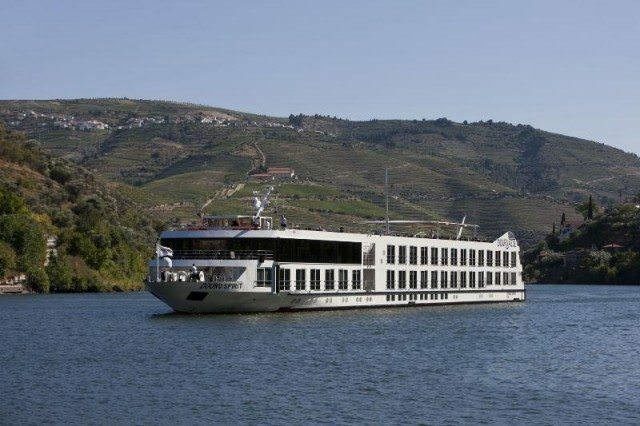 Read More About Douro River Cruises.